What can SiteNinja offer you? SiteNinja is perfect for designers and small businesses alike! Robust & easy to use, SiteNinja is an SEO-friendly, stats-driven content management system that is simple enough for the everyday user, but big enough for a hardened designer. Since we host your website, you never have to worry about upgrading to the latest and greatest version of SiteNinja (we do that for you on a regular basis). SiteNinja is constantly evolving to give you more powerful tools and increase your productivity in managing your website. Create unlimited Templates that allow you to change the default html and css of the page. Apply your template designs to any pages within the website. This is perfect for creating different designs for unique sections of the website, while maintaining common branding throughout the site. Lifetime free support from SiteNinja staff helps you to quickly implement your designs. SiteNinja has no restriction on the number of pages you can add to your website. All pages force a level of Search Engine Optimization so pages perform better. Page content is easy to manage with many drag-and-drop features for images, slideshows and videos. The blog is the best way for you to promote fresh content for Search Engines to index and promote high in the Search Engines Results. For your site to improve its “Domain Authority” in the Search Engines, the blog needs to be built into your website. 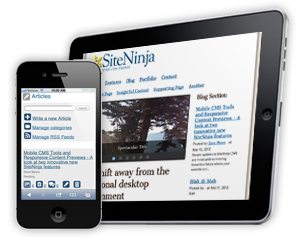 The SiteNinja blog forces a level of Search Engine Optimization so articles perform better. 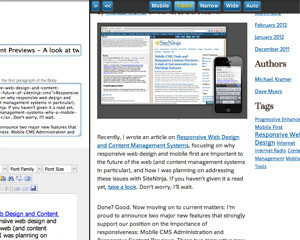 Articles are organized by Categories, and any category of articles can be featured on pages throughout the site. Use the build-in Contact form to collect information from your website visitors. Includes auto-response emails to your visitors and you. All visitor requests are kept in a log for your review. Each request adds your visitors into your People Management system so you can follow up with their request and contact them in the future. Role management allows you to give other people restricted access to submit content into your website. For example, you could allow approved persons to submit articles or events into your website, but not have access to other areas of your content. Each page and article of your website comes with its own image gallery. Uploaded images are automatically resized into 6 sizes from very small to original size. Images are drag-and-drop onto your pages. Images are easily displayed individually, in a slideshow or imagebox. All images have forced Search Engine Optimization so pages with images perform better in the Search Engines. Every page of SiteNinja website has the Standard slideshow. The Hompage slideshow is special because it is highly configurable and links images in the slideshow to pages within the website. Linking to pages from the homepage helps the optimization of those pages in the Search Engines. 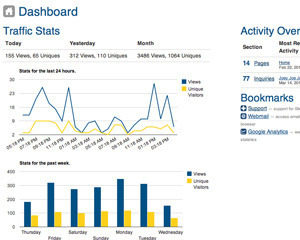 It is also an excellent navigation tool to get your visitors to the content they are most interested. The slideshow is also a major design element on the homepage. So if you are on a budget and can’t spend much on design, using the homepage slideshow will minimize your cost and give you big impact. Testimonials are one of the most effective way to convert website visitors to new clients. This testimonial system will allow you to feature testimonials in the body of the page or in the side column. You control if testimonials are randomly chosen each time the page loads. Changing content on the page improves the Search Engine Optimization of that page. Hold onto your hat! This image gallery is on steroids. Organize your galleries into multiple levels of Categories. Display your gallery images in multiple layouts. Control the side column content on any gallery page, giving your visitors more control over navigating to other galleries or other images in the current gallery. Add full Html content to your images, turning your galleries into an ideal portfolio page with case study reviews of your work. Seamlessly integrate your videos within any gallery. Optionally allow your visitors to rate your images or videos on a scale of 1 to 5 stars, and display the popularity of your content for other visitors to see. Are you paying every month for a 3rd party email service like Constant Contact? Forget those monthly fees and use the SiteNinja Newsletter module to send up to 10,000 Emails per month for FREE. Cost there after is about ? the cost of the major Email-only services. Your website visitors can opt-in to one or more newsletter groups and can opt-out anytime. Easily add events to your website. All events are automatically Search Engine Optimized. You can assign your events to multiple categories and display events, by category, anywhere in your website. SiteNinja Events even allows you the option to let your website visitors add their own events, for your review and approval. If your event requires registration, no problem. Event registration is simple to manage and allows you to charge people to attend your events. Posting events on your website is an excellent way to draw traffic to your site. Remember these don’t have to be events just from your organization, they could be popular events from your industry that have a high popularity of people searching for those events. Google has let us know they want to direct traffic to websites that are a “Content Rich Resource”. If you have a directory on your website with companies and vendors in your related business, you are being seen by Google as a Content Rich Resources for your industry. SiteNinja automatically Search Engine Optimizes the listings for the best possible exposure in Google Searches. If you are currently listing resources on one page of your website with outgoing links to those other websites, you are telling Google the “real” content is outside your website. The directory system helps Google see the “real” content is on your website. Need a secure place to post content, and allow only people with approved logins to access? That’s Private Pages. Create unlimited private groups and assign pages of content and people to those groups. Amazon is the leader in Cloud Hosting. Highlights include 99.9+% uptime. Daily backups with 30 days of archives available at anytime. With the help of Engine Yard and Amazon Web Services, you can rest easy knowing that your website is in good, scalable hands. Visit http://www.site-ninja.com/getting-started for step-by-step instructions on all common way you will need to manage your pages, articles, images, videos, events and more. All instructions include images to give you a visual aid and many include short how-to videos. SiteNinja offers live support, working with you on the phone or through a screen share to help you quickly resolve any issue you have. SiteNinja CMS is constantly being upgraded to bring you current technologies and features that your website needs to stay current in an industry that changes rapidly. You will never be outdated if you have a SiteNinja website, because these new features are added to your website for free each month. All upgrades come with instructions how to take full advantage of the new features, and if you still need support, it’s a free!